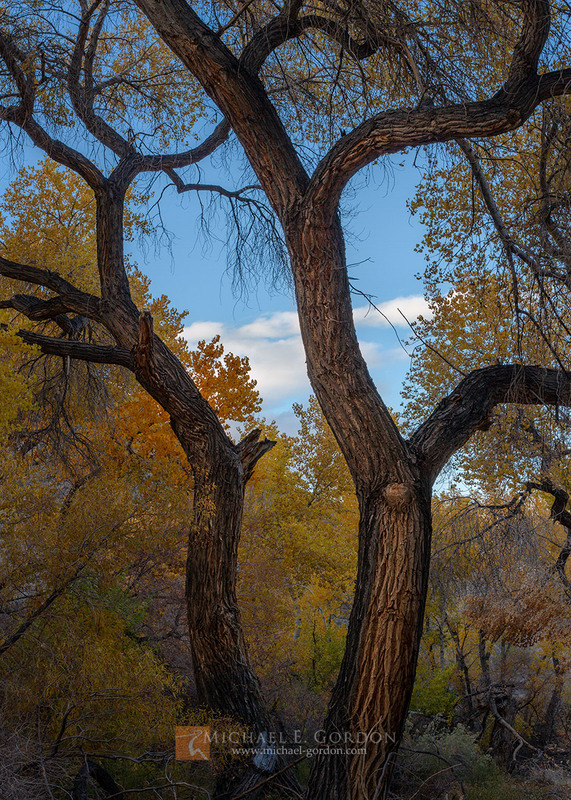 Two Fremont's Cottonwood trees (Populus fremontii) dance and sway under a beautiful late blue sky in late autumn. Death Valley National Park, California. Photo © copyright by Michael E. Gordon.